You can hardly blame investors for getting a little nervous about Take Two. 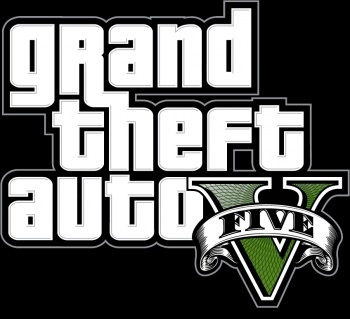 Their first quarter investment call wasn't exactly filled with joyous tidings, and one of the sticking points was Grand Theft Auto V. There have been screenshots and some news buzz but no real marketing push or a release date announcement. When the board opened the investor call up for queries Mike Hickey of National Alliance Securities asked the question the whole room wanted to know the answer to: "what believability do we have at this point that this game will come out this year?" "We can't talk about the credibility of a release date that we haven't announced," was CEO Strauss Zelnick's response, and he wasn't much more forthcoming when Hickey followed up with a question about communications with Rockstar. "We wouldn't talk publicly about the way that we communicate with our teams internally," Zelnick responded, "we're blessed to be in business with the Rockstar folks ... we have the best creative teams in the business, throughout our company." This comes at a time when Take Two - financially stable though it may be - hasn't had much good news to report. L.A. Noire and Duke Nukem Forever sold better this time last year than Spec Ops: The Line and Max Payne 3 did this year, and net sales are down 32% on the financial quarter. Not that last year was any cornucopia of delights either; said Zelnick, "we had a disappointing year last year, and now we've had a disappointing first quarter." Still, the board were upbeat. COO Karl Slatoff confirmed that the commercial disappointment of Spec Ops: The Line "would never prevent us from taking risks and chances and innovating in the future." Zelnick had nothing but praise for his teams, and said that the challenge was to perform to the expectations of what he described as "discerning customers" who only want "high quality games."